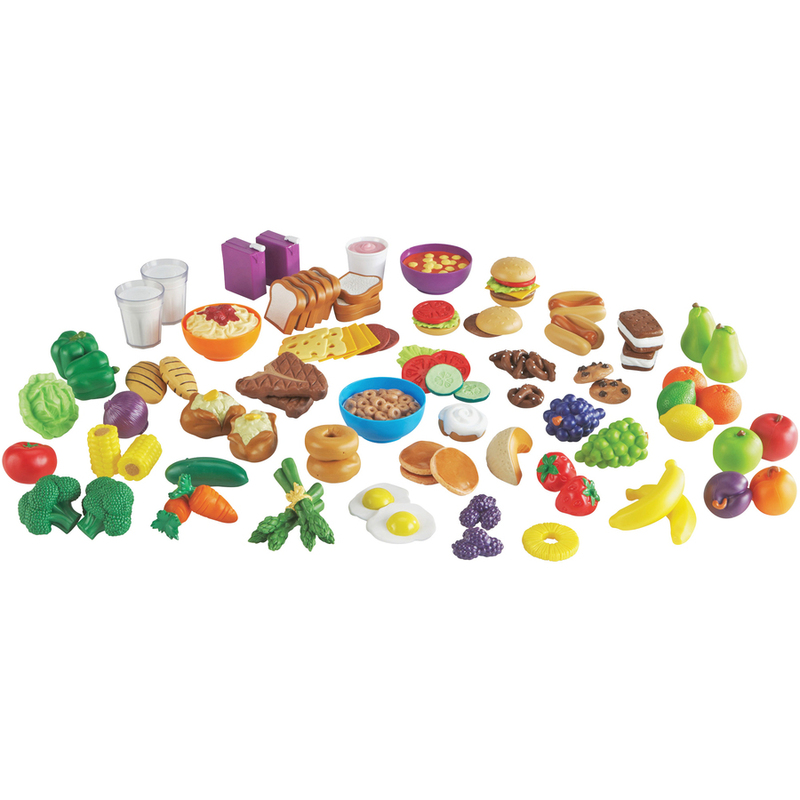 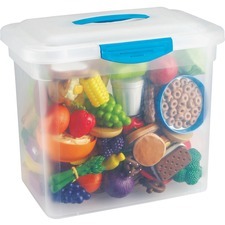 Play food set provides all of the yummy-looking food you need for your dramatic play centers and early nutrition lessons. 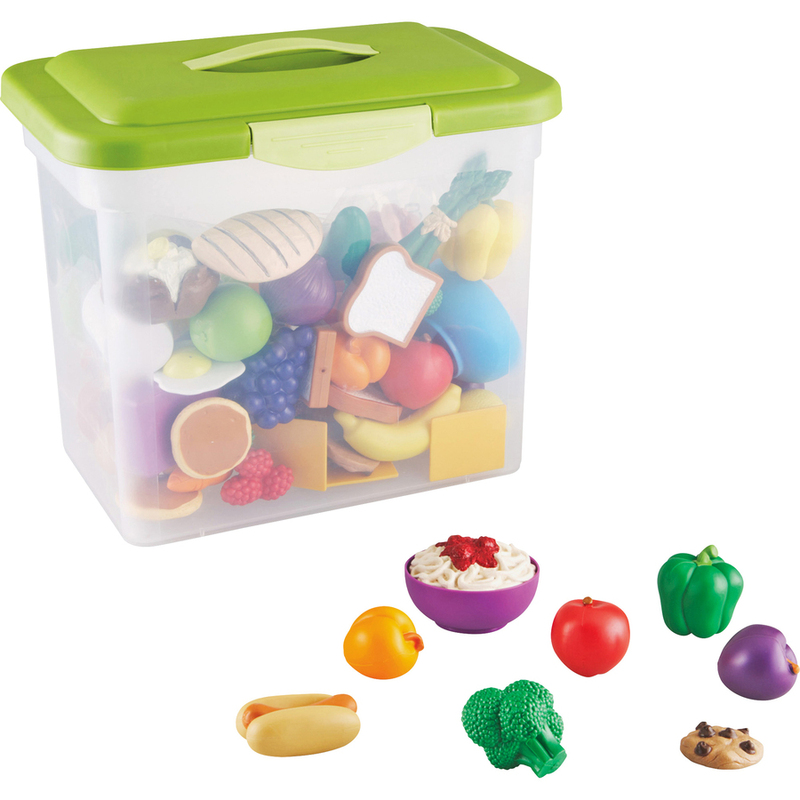 Play food is made of soft, durable plastic and sized perfectly for little hands. 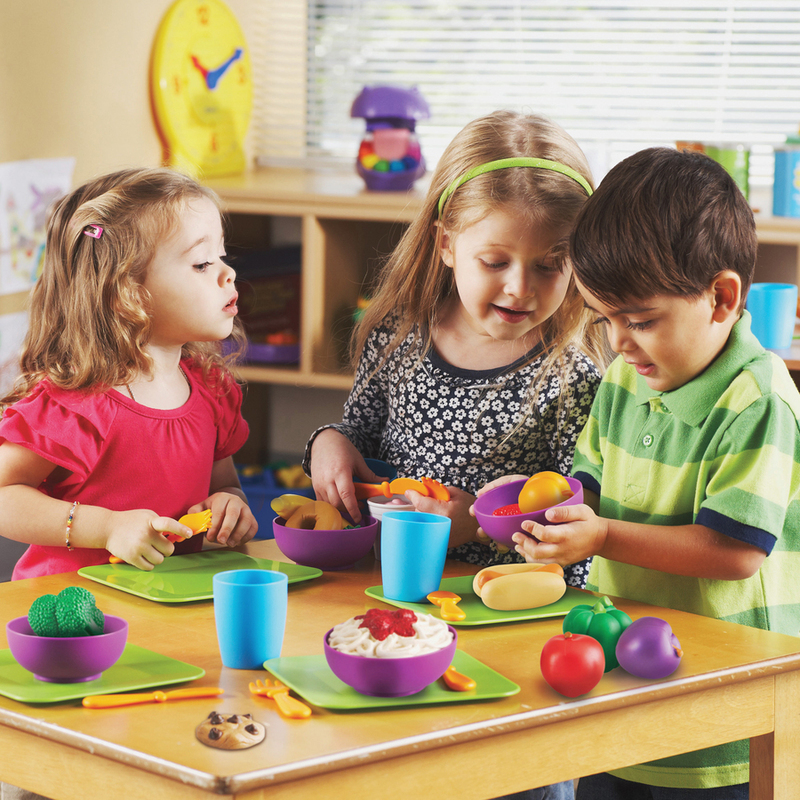 Food set invites early imaginative play, builds vocabulary and reinforces healthy eating.